Hello crafty people! 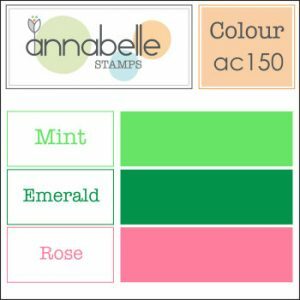 Welcome back to another AnnaBelle Stamps colour challenge. This week we are saying it with Mint, Emerald and Rose (or the colours that you have that are the closest to them). My green is a little more lime, than mint – but it was the best I could come up with. I tried really hard this week to work with a background colour other than white – so green it was. The Baubles are from the Decorated Christmas set (I also used these matching dies). The sentiment is from the Holly Branch set and the leaves are from the Garden Silhouettes set. I popped one of the baubles up on some foam for added interest and also added some white enamel accents. Don’t forget, this week’s Deal of the Week (which starts on Friday and will run until the following Friday) is the Decorated Christmas stamp set which is 20% off for one week. Head to the ABS site for more details. This week’s winner will receive a $10 Gift Voucher to the AnnaBelle Store. Thanks for stopping by. Hope you have had a great week…mine has been somewhat hectic so glad it is now the weekend! We post our challenges every Friday at 8:00pm AEST (AEDT during Daylight Savings). Each challenge runs for a week, and will close on the Friday 10.00am so that we can announce and showcase our weekly winners prior to the next challenge. Each weeks winner will receive our special blinkie to display on their blog and a $15.00 Gift Voucher to spend in store at AnnaBelle Stamps (or something equivalent). For those without a blog you can still play along! Simply upload your card to out Stamp Embellish Create social site (you’ll need to join) and add the current challenge ‘tag’ to your photo! You may enter any of our challenges several times as long as each submission is with a new creation. Hello! Welcome back to another AnnaBelle Stamps challenge. This week I am back crafting again, as I have finally finished writing school reports. What a relief! Hopefully I can now catch up on my Google Reader list and work on being a friendlier blogger! I love this week’s sketch. 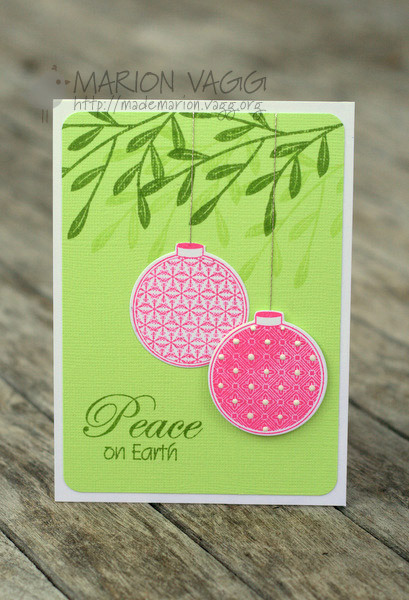 The Belles have all used the stamp set Christmas Scene Baubles – but you don’t have to. I masked off the hills and got very inky with Distress Inks. I then lightly spritzed with water to create the stars. I love how this worked out. I then masked off the top section and inked the bottom with Black Soot Distress Ink. Don’t forget, this week’s Deal of the Week (which starts on Friday and will run until the following Friday) is the Christmas Scene Baubles stamp set which is 20% off for one week. Head to the ABS site for more details. Hello! Welcome back to another AnnaBelle Stamps challenge. This week I am taking a break from the challenge, as I am eyeball deep in marking and report writing for school. Even though I don’t have a card for you, please pop by the rest of the DT as they have some fun projects worth looking at. Their links are on my side bar. Don’t forget, this week’s Deal of the Week (which starts on Friday and will run until the following Friday) is the Lil’ Bees Big Flowers stamp set which is 20% off for one week. It is sooooo cute! Head to the ABS site for more details. 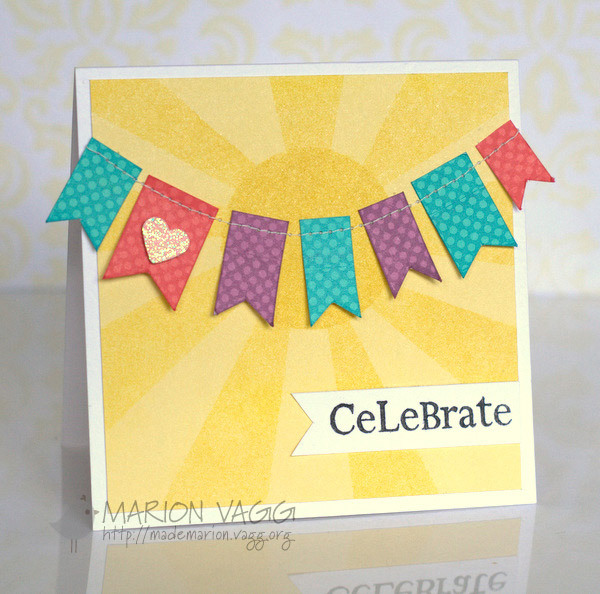 This month the Belles are showcasing some new digi papers in the store with matching ribbons and sprinkles. We are also showcasing the stamp set Decorated Christmas. 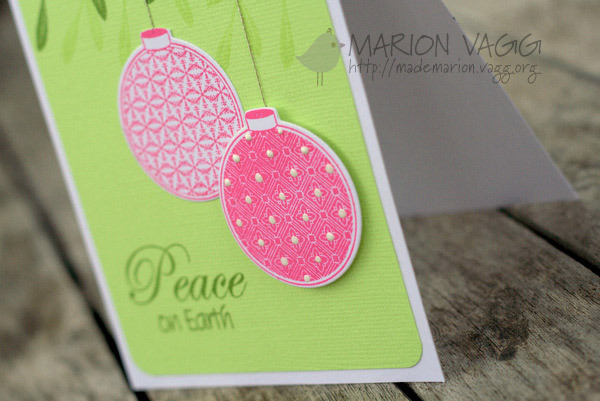 It is a fairly new set, and it coordinates with the newly released Cuts By Design 3 dies. Today I have made a couple of different ways to jazz up some of your Christmas presents. 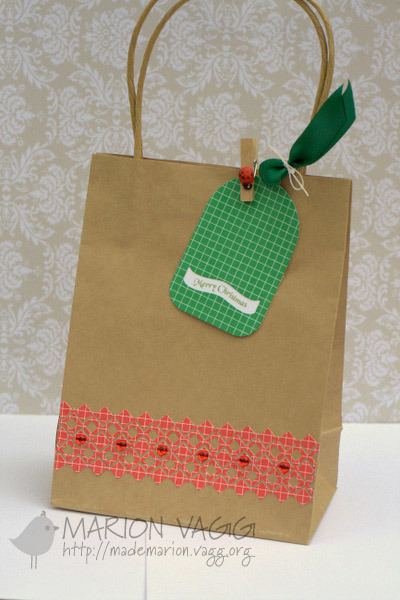 First is a little bag that uses the Cuts By Design Border 1 die. I have cut the border from a new digi paper from the Chilli collection. The tag is also made from some new digi paper – this time the Emerald collection. 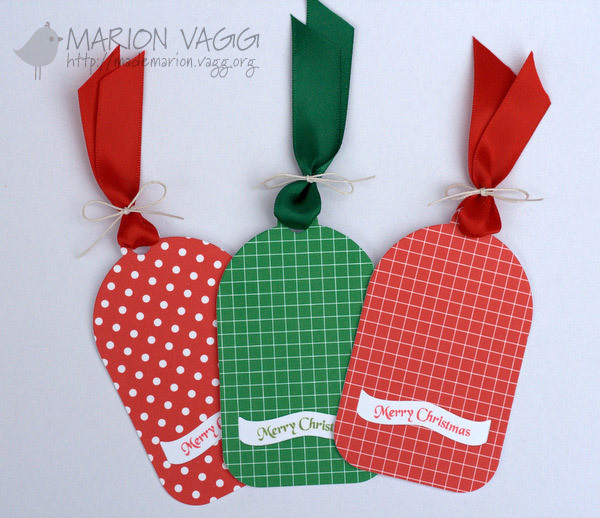 Next up are some really CAS gift tags made from both the Chili and Emerald digi papers. I die cut the mini banner area and backed each tag with another tag. I then stamped the Merry Christmas from the Decorated Christmas set. See how beautifully the papers match the ribbons! 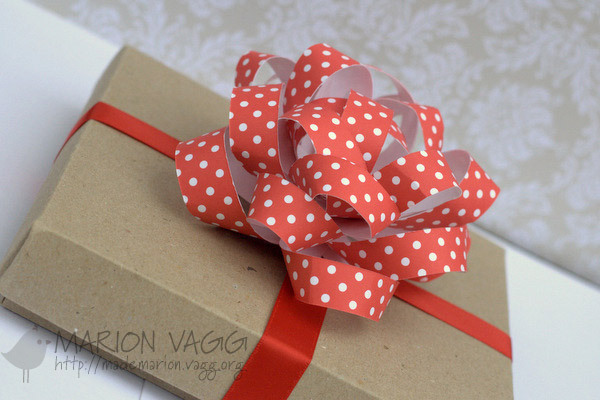 Finally is a gift topper that I made from the Chilli digi papers. I followed an easy tutorial that I found here. 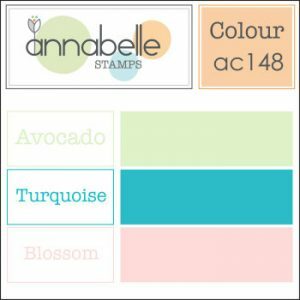 Once again it matches beautifully with the AnnaBelle ribbon and looks great on an AnnaBelle stamps kraft gift box. Now for a GIVEAWAY. In order to be in the running to win the blog hop prize which is all the Chilli and Emerald Digi papers in either A4 or US size, 5 metres of Chilli ribbon and 5 metres of Emerald ribbon with matching sprinkles, you need to comment on all of the DT’s blog and then head back to the ABS blog and add your name to the inlinkz. You have until Friday to enter. Hello! 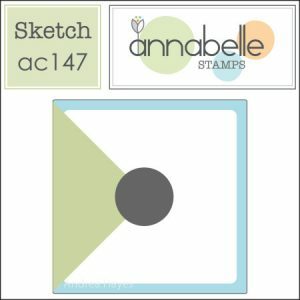 Another Friday, another AnnaBelle Stamps challenge. This week is a sketch challenge. We would love you to play along. I decided to rotate the sketch a quarter turn to the right. 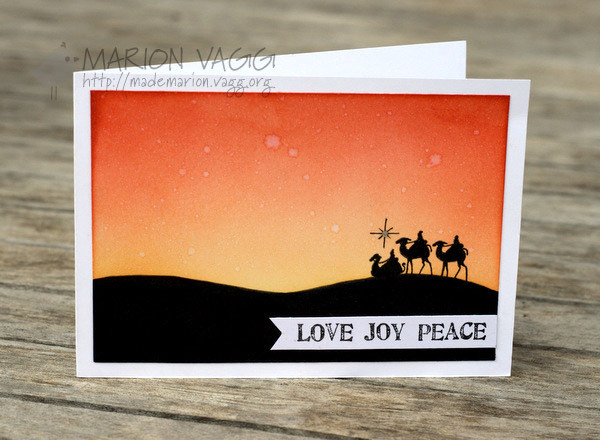 I came across this card by Kelly Rasmussen and I LOVED it…and so the inspiration for my card was born. I had to add the circle element in, so I decided to do some making and distress ink blending on the background to create sun rays. I am really happy with how it turned out. 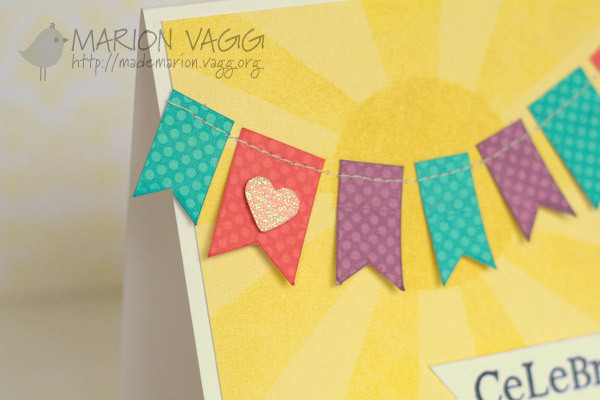 I used the Shape it Up stamp set to create the dots on the bunting. I even pulled out my neglected sewing machine AND another first in a long time is glitter – to be honest I can’t stand the stuff – I hate how you wear it for days afterwards!! But I needed some extra shine on the card, so went for it! 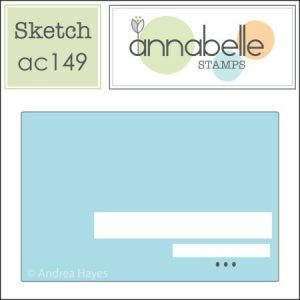 Don’t forget that Andrea is now offering free digi stamps each month – you can find this month’s freebie here. The Deal of the Week this week (which starts on Friday and will run until the following Friday) is the Shape it Up stamp set which is 20% off for one week. I’m entering this card in the Stitching & Sewing Challenge in the Moxie Fab World. This week’s winner will receive a $10 Gift Voucher to the AnnaBelle Store. 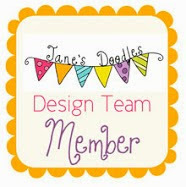 Be sure to check out the rest of the Belles’ projects – their links are on my sidebar. – We post our challenges every Friday at 8:00pm AEST (AEDT during Daylight Savings). – Each challenge runs for a week, and will close on the Friday at 10:00am so that we can announce and showcase our weekly winners prior to the next challenge.